Partly cloudy skies. Slight chance of a rain shower. High 67F. Winds S at 5 to 10 mph.. Partly cloudy. Slight chance of a rain shower. Low 53F. Winds light and variable. 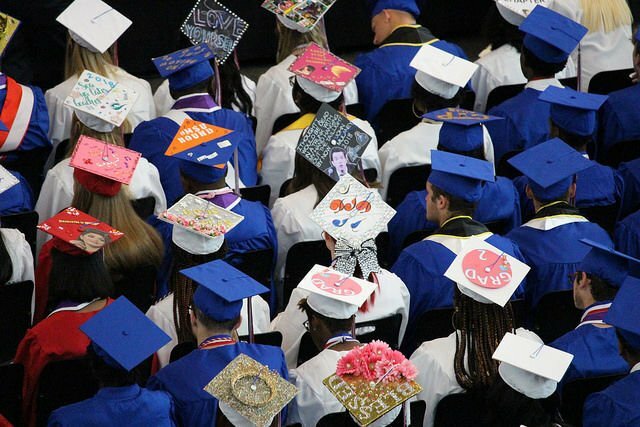 Patapsco grads don decorated caps. Patapsco students spoke at graduation on June 5. Patapsco students graduated from SECU Arena at Towson University. Patapsco’s graduating class of 2018. The seniors of Patapsco High School and Center for the Arts celebrated their final days of school last month with a Senior Send Off assembly where parents attended to watch the soon-to-be grads receive awards and reminisce about the last four years. 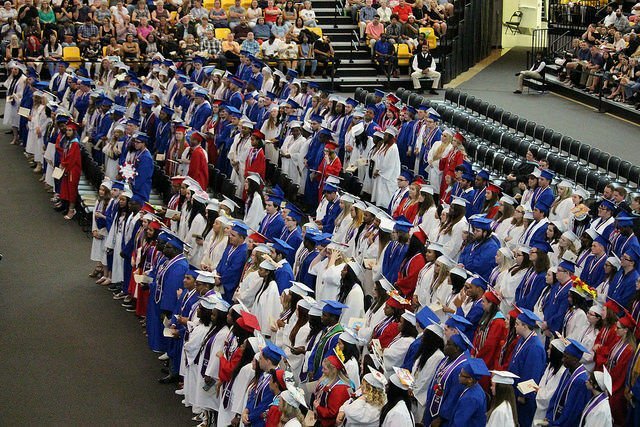 The students graduated from Towson University’s SECU Arena on June 5.